The French designer Georges Peignot (born 24. 6. 1872, died 28. 9. 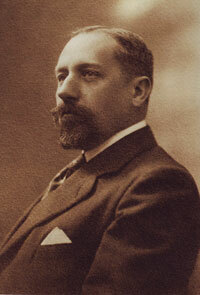 1915) created the fonts Cochin® (1914) and Nicolas Cochin® (1912). Georges Peignot designed Cochin based on copper engravings of the 18th century and Charles Malin cut the typeface in 1912 for the Paris foundry Deberny & Peignot. The font is named after the French engraver Charles Nicolas Cochin (1715–1790) although its style had little to do with that of the copper artist’s. The font displays a curious mix of style elements and could be placed as a part of the typographical Neorenaissance movement. Cochin is especially large and wide and was especially popular at the beginning of the 20th century. The font Nicolas Cochin is based on copper engravings of the 18th century; Charles Malin cut the typeface in 1912 for the Paris foundry Deberny & Peignot. Nicholas Cochin is a freer variation of the font Cochin, a bit more balanced and elegant. If you are interested in more information about the Peignot family, please take a look at http://www.cliquez.fr/froissart. Here you will find a book about this issue.